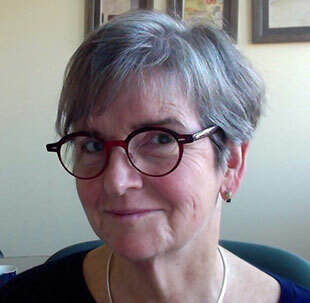 Dr. Suzanne M. Wilson is a Neag Endowed Professor of Teacher Education at the University of Connecticut where she currently serves as Professor in the Department of Curriculum and Instruction. Her undergraduate degree is in history and American Studies from Brown University; she also has a M.S. in Statistics and a Ph.D. in Psychological Studies in Education from Stanford University. She was a University Distinguished Professor in the Department of Teacher Education at Michigan State University, where she served on the faculty for 26 years. Wilson also served as the first director of the Teacher Assessment Project (PI, Lee Shulman), which developed prototype assessments for the National Board for Professional Teaching Standards. Dr. Wilson is a committed teacher, having taught undergraduate, MA, and doctoral classes in educational policy, teacher learning, and research methods. She has directed 28 dissertations, and served as a committee member on another 35. While at Michigan State, Wilson collaborated on several large-scale research projects, including the National Center for Research on Teacher Education/Teacher Learning, the Educational Policy and Practice Study, and the National Partnership for Excellence and Accountability in Teaching. She has written on teacher knowledge, curriculum reform, educational policy, and teacher learning. She is currently co-PI on Learning science as inquiry with the Urban Advantage: Formal-informal collaborations to increase science literacy and student learning, a collaboration with Urban Advantage, a professional development program offered throughout NYC in which she is investigating what teachers learn from opportunities to engage in secondary science research. Her current work concerns exploring various measures of teaching and teachers’ understanding that might be used for teacher education and education research, as well as a study of the contemporary and jurisdictional battles over who should control teacher education and licensure. She has published in American Educator, American Educational Research Journal, Educational Researcher, Elementary School Journal, Journal of Teacher Education, Phi Delta Kappan, and Teaching Education. She is author of California Dreaming: Reforming Mathematics Education (Yale, 2003), and editor of Lee Shulman’s collection of essays, Wisdom of practice: Essays on teaching, learning, and learning to teach (Jossey-Bass, 2004). Wilson serves on multiple editorial and advisory boards; she is also a member of the National Research Council’s Board on Science Education and the National Academy of Education. Principal Investigator. Supporting the development of high quality mathematics and science teachers. Knowles Science Teaching Foundation. Co-Principal Investigator (with James Short, American Museum of Natural History, PI). Moving Next Generation Science Standards into practice: A middle school ecology unit and teacher professional development model. National Science Foundation, DRK-12. Co-Principal Investigator (with James Short, American Museum of Natural History, PI). Learning science as inquiry with the Urban Advantage: Formal-informal collaborations to increase science literacy and student learning. National Science Foundation, DRK-12. Sykes, G., & Wilson, S. M. (in press). Instructional policy. Gitomer, D., & Bell, C. (Eds. ), Handbook of Research on Teaching (5th ed.). Wilson, S. M. (2014). The commodification and control of teacher education. Theory into Practice, 53(3). Wilson, S. M. (2014). Bruner. Encyclopedia of Educational Theory and Philosophy. Thousand Oaks, CA: Sage. Wilson, S. M. (2013). Science teacher professional development. Science, 340(6130), 310-313. Rozelle, J. J., & Wilson, S. M. (2012). Opening the black box of field experiences: how cooperating teachers’ beliefs and practices shape student teachers’ beliefs and practices. Teaching and Teacher Education. Wilson, S. M., Rozelle, J., & Mikeska, J. N. (2011). Cacophony or embarrassment of riches: Building a system of support for teacher quality. Journal of Teacher Education, 62, 383-394.